GENEVA (Sputnik) - Over 200 mass graves containing the remains of thousands of people have been discovered in Iraq on territories previously controlled by Daesh, the Office of the UN High Commissioner for Human Rights (OHCHR) said in a report released on Tuesday. Over 526,000 people have been displaced from Iraq's Mosul since the beginning of the Iraqi army's anti-Daesh (terrorist group, outlawed in numerous countries) offensive in the west of the city in February, the country's Minister of Displacement and Migration Jassim Mohammed Jaaf said Friday. The United Nations Assistance Mission to Iraq (UNAMI) said in a release on Tuesday it finds the decision by Kirkuk governor Najmaldin Karim to raise the Kurdish flag over the city’s citadel concerning. A total of 867 Iraqis were killed and 1,459 nationals were injured during the terrorrist attacks and armed clashes in Iraq,the province of Baghdad was the primary target of extremists' attacks with 267 killed and 740 injured, according to the United Nations Assistance Mission for Iraq (UNAMI). The total number of casualties from an armed conflict and acts of terrorism in Iraq has almost doubled between February and March to over 1,000, the United Nations Assistance Mission (UNAMI) for Iraq said. Daesh militant group held approximately 3,500 individuals, predominantly women and children, in slavery, according to the joint report of the UN Assistance Mission for Iraq (UNAMI) and the Office of the High Commissioner for Human Rights (OHCHR). 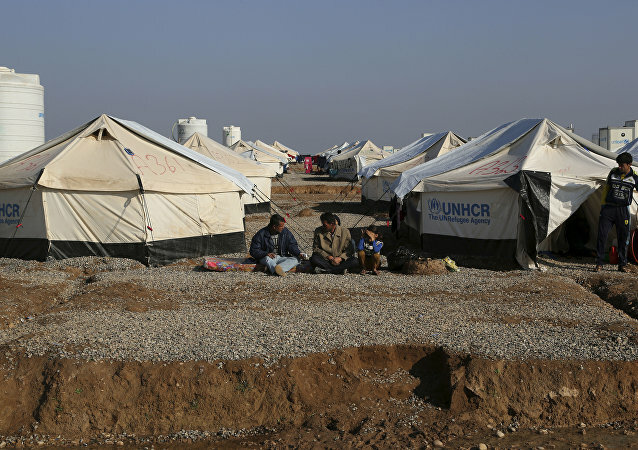 More than 22,000 people have been killed or injured as a result of acts of terrorism, violence and armed conflict in Iraq, United Nations Assistance Mission for Iraq (UNAMI) said in a statement Friday. Baghdad and the ISIL-controlled Anbas governorate have borne the brunt of the casualties.